An extremely rare Simon of Lippe sterling! Today only one coin added to the site, but it's an extremely rare one. This time a few short cross imitations / forgeries are added to the site. Below some nice additions to the site, all Edwardian imitations. Today I added some very rare Edwardian imitations, including Arnhem, Dordrecht, Viesville! The first in the list is the most special of them! 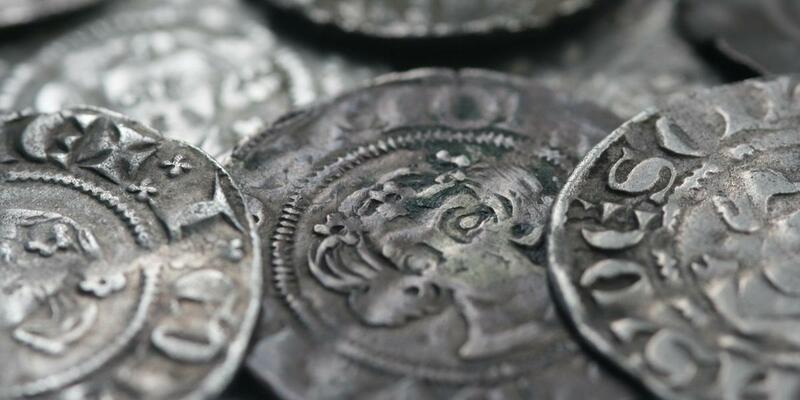 Today 19 coins, some very rare or unique, were added to the website. Today I added 6 crockards and pollards. This website shows my collection of continental sterling imitations and contemporary forgeries, roughly dated between 1220-1450. When I found my first Edward I penny on August 1st 2007 my interest in the medieval English coinage was arisen. I started reading about it and found out about the several classes and on one point I read something about sterling imitations, made on the continent. This meant they must have been struck just where I live! The more I read about it, the more I got interested and not long later I bought my first imitation. A new collection was born! My collection is still growing and sometimes new discoveries are made. Some reference works are dated and incomplete. After N.J. Mayhew published his book (which is my bible) "Sterling Imitations of Edwardian Type" in 1983 metal detecting became more popular and better and unlisted sterlings were found. Even today. Now and then I am lucky enough to acquire a new variety or new type. It would be a shame not to share these findings with the rest of the world and therefor I created this website. 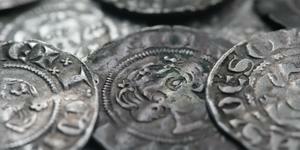 I hope it will be a great source for metal detectorists and collectors. Feel free to use the picures and information. All I ask is to mention this website as the source. I added my private catalogue numbers to the coins, which can be used as a reference. New additions will be announced on the updates page. I'm also willing to help with identification sterlings. You can use the contact page to get in touch and I try to come back within a few days with a full determination. All coins are kept in a safe deposit box at the bank and most of them are not for sale. The few ones I have for sale, bear a clear "SALE" tag. Please go to the contact page to ask for more details. Member of The Royal Dutch Numismatic Society. "Imitation is the best form of flattery" - Charles Caleb Colton (1780-1832).